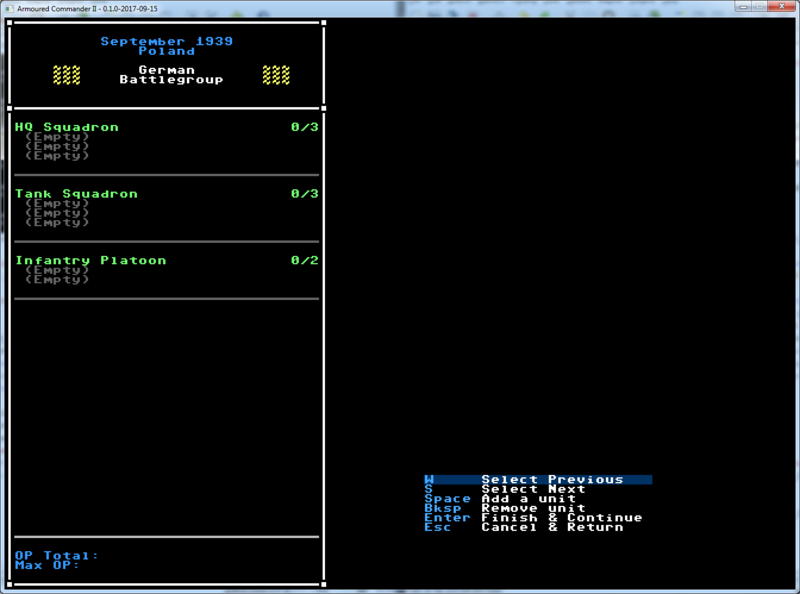 It doesn’t look like much, but I’ve started to add the battlegroup building menu into the game, working from my initial REXPaint mock-up. Progress has been slower than I had expected because when I got to this stage I realized that the way in which I was storing data about units and unit types was very inefficient and would have caused problems further down the road. So I took some time and converted my clunky XML -> variables and dictionary system into a pure JSON and dictionary system. This makes it much easier to add stats to units later on and to access and organize information about unit types as is needed in this menu.